Today is my husband’s sixtieth birthday. I can remember so clearly when I first met him in college and decided that he might be someone I would like to date, even though we seemed to have almost nothing in common. He was a gifted athlete, and an active member of a fraternity. He liked to spend time fishing and golfing, and had a special talent for playing pool. I was a klutz who was completely uninterested in sports, and had lasted a mere three months in the sorority I joined my sophomore year. I played only miniature golf, was terrible at pool, and thought fishing was a bit cruel, to both the fish and the worms. But still, something clicked, and we married shortly after I graduated. It just doesn’t seem so long ago that we moved into our first apartment together, then later bought our first house and brought our first baby home from the hospital. How can that baby now be a twenty-nine year old woman, and how can we possibly have lived in this, our third house, for twenty-one years? 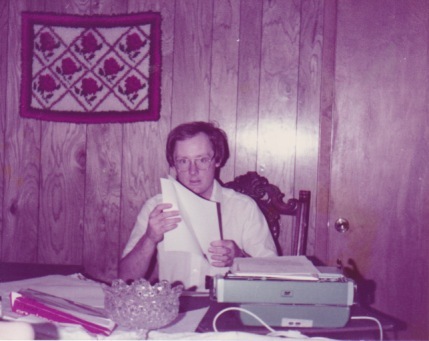 How can my husband, the young man who searched so eagerly for his first accounting job, carefully typing out his resumes and letters on my electric typewriter, be just five years away from retirement? When did we make the shift from the young, clueless couple trying to find our way in the world, to a couple that is fast approaching (if we aren’t there already) the years where we can’t even call ourselves middle aged anymore, and actually qualify for those “senior citizen discounts?” Next year will actually be the fortieth reunion of my high school graduating class. And I still believe someone added wrong to come up with that number, but I’m not sure who to speak to about it. I remember when we were young (a very long time ago, apparently), people kept telling us that the years would just fly by. And like all young people, we didn’t really believe them. We knew we were at the beginning stages of our lives, and our attention was focused on acquiring all the stuff we thought we needed, establishing our careers, and starting our family. But now, with my husband turning sixty, there is no denying that we have many more years behind us that we do ahead of us. And that we are no longer young anywhere except in our own minds. Now our focus has changed. We are certainly not wealthy, but we have most of what we want and all of what we truly need. We treasure our time with family and friends more, because we now understand what a gift time spent with people we love really is. We aren’t always happy with our aging bodies, but we accept them and do our best to stay healthy. We may not have as many years left as we would like, but we do intend to spend those years wisely. A friend once told me that the beauty of long-term marriage is that each partner knew the other one when they were still young, so that when they look at their spouse, they still see the young person they once were. And that, I have found, is true. My husband may be turning sixty today, but to me, he will always be that somewhat shy, sweet, college boy I thought I might like to date…..
Great post! You describe what most of us are feeling. Beautifully expressed, Ann and a great love story. Please wish your husband a blessed birthday followed by many more to come. Thanks, George! I will tell him! 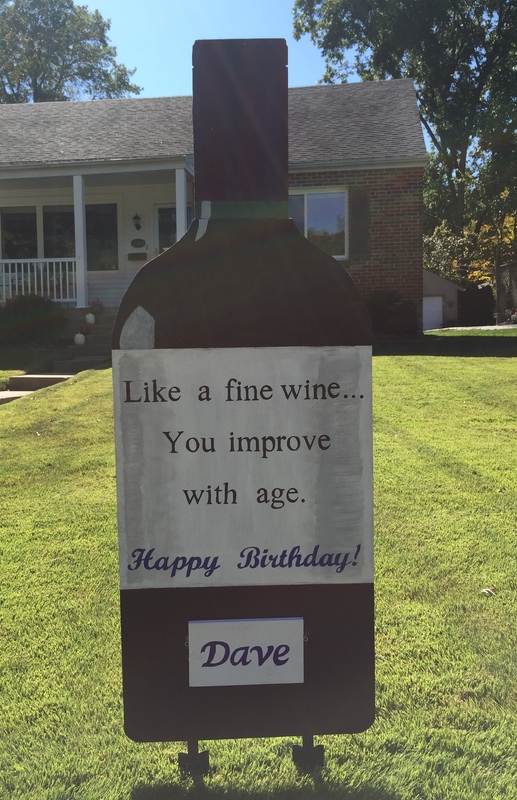 What a nice birthday tribute to Dave! Wonderful post. I think your daughter and new son-in-law have a really good marriage to pattern themselves after! You guys should write some tips! Thank you! But I don’t need to write my own; I’ll just show them your list. Because I agree with everything you said! Well said, Ann. The best part about being our age is that we no longer worry about what we will become. Oh sure, there will be changes but there is little to be anxious about, all the big questions have been answered. Thank you! And I agree, by our age, we know who we are. And there is comfort in that! That’s the best reason for failing eyesight I have ever heard! Thank you!!! That was touching and so true. Happy Birthday to Dave. Happy birthday to your husband, Ann! I totally agree with your friend’s assessment about the beauty of long-term marriage. It’s true that we still see each other as the young person we once were. Beautiful post. Thanks, Kim! Sometimes when I look in the mirror first thing in the morning, I find it very comforting to think that my husband still sees me as I was thirty years ago, and not as I look now!!! Just wait until you hit that 50th anniversary, Patty! But I have to say that you are both aging beautifully! What an affectionate post about your husband. I’m glad that you have had and still have today such a wonderful and contented marriage. Heartwarming, truly.